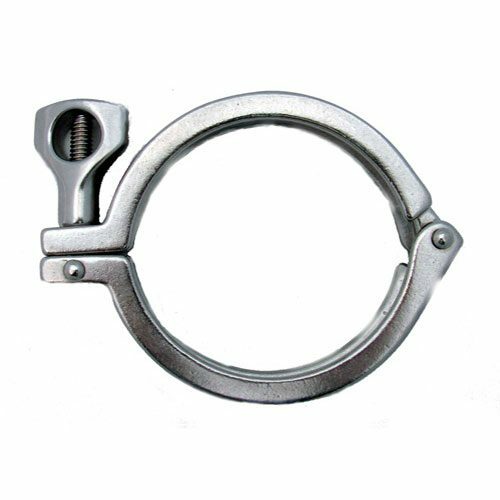 This 2 inch Diameter Stainless Steel Clamp fits on the flange listed above and most U.S. kegs. I bought this as an extra, figuring that if I had the other go south for one reason or another, at least I’d be able to avoid the disappointment of having to scrap the operation while I waited for another. Turns out that these are the real deal. Well crafted and sturdy. So I probably didn’t need to get the extra. Still, I like the security. Worked great with the ferrule and keg, makes a good seal, not all that expensive. If you need clamps these are the ones you should purchase! 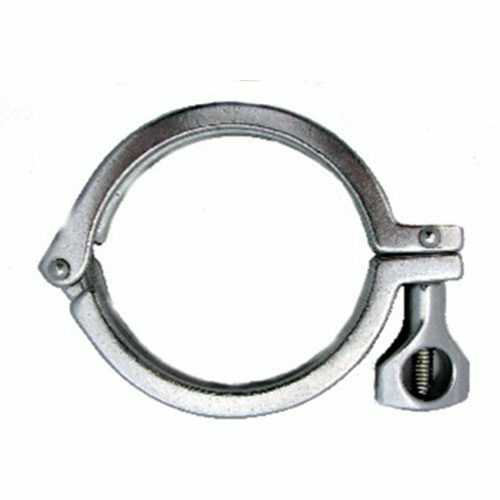 Having coming from an industry that uses sanitary fittings on a daily basis for clamping hoses and fittings, these guys are industrial grade—you won’t go wrong.